"Now everyone can fly Xtra long" - The AirAsia X company slogan is quite a benchmark. It's not the fanciest airline around and the service isn't the most dedicated, but value for your money is probably the best reason to book a flight with the Malaysian low cost carrier. Services to and from Australia in particular are the ones with the lowest and best prices on the market. Very soon AirAsia is going to open its very own airport located just next to Kuala Lumpur International Airport which will be called KLIA2, who would have guessed that? The current low cost terminal LCCT which is already operating beyond its capacity will no longer be operating civil flights. If you don't want to read the review (I know, too many words) you can just lean back and enjoy my video report which gives you a detailed inside of what it's like to travel on Air Asia X Premium Flatbed. The Premium Class is more than just a Premium Economy Class, in fact it is what you get to experience if you book a Business Class flight on an average airline. 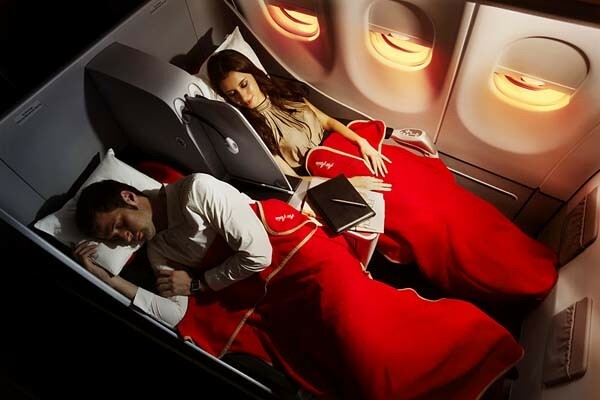 They provide a spacious seat that reclines to unveil a full flat bed for just a quarter of a normal Business Class price. 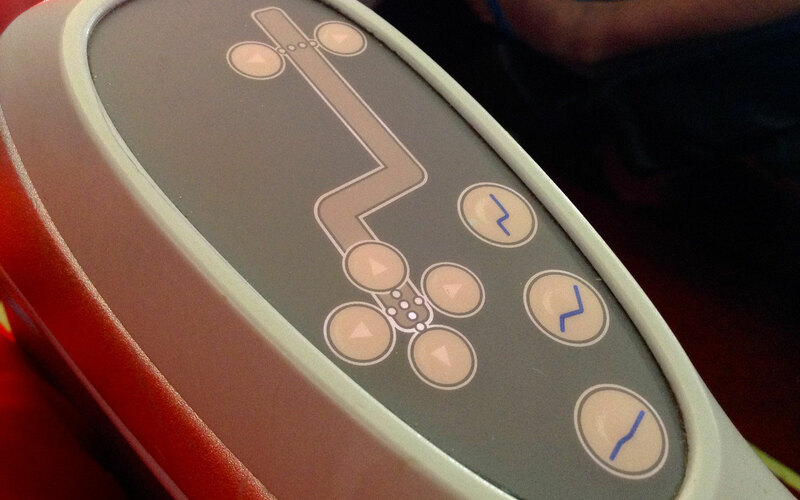 It also won the world's best low-cost airline Premium Class seat award by Skytrax last year. 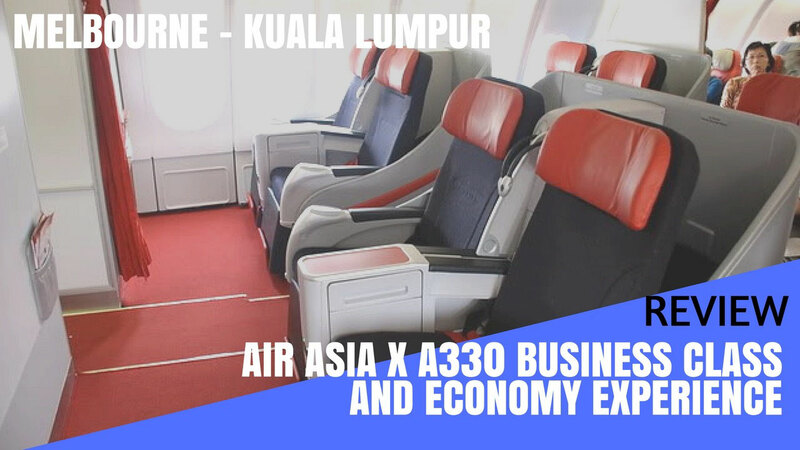 AirAsia X operates an Airbus 330-300 on 95% of its flights, and only offers twelve Premium Class seats with a dedicated check-in counter that's basically just for those twelve passengers. The remaining 365 seats are purely reserved to 365 Economy Class travellers which create long and time-demanding queues. As a Premium passenger your check-in process shouldn't take any longer than five minutes. One of the privileges is that you get to board the airplane before everyone else does. Once you embark on the aircraft and are shown to your assigned seat, you are welcomed with a complimentary bottle of water and hot towels. 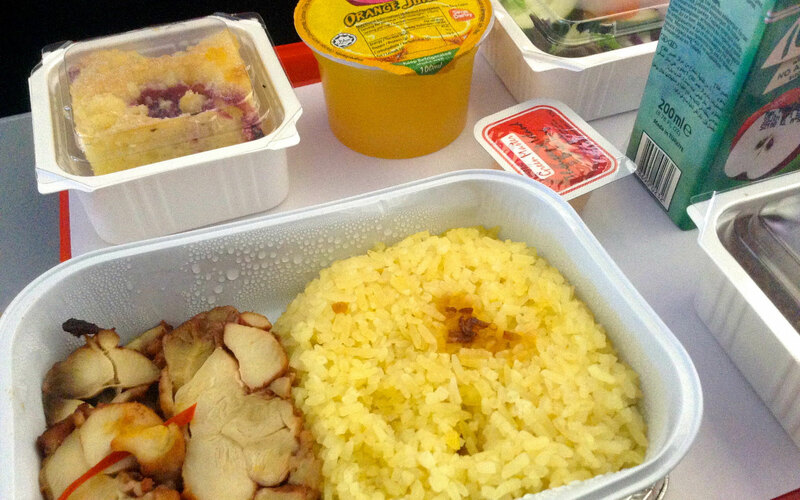 Shortly after take-off, you receive your free pre-booked meal with another bottle of water, orange juice, a salad and dessert. After you've finished your food you can either settle in for a good sleep with the provided blanket and pillow or you can stare at the blank space in front of you where everyone would love to see a screen with at least 100 movies. How to get an almost free upgrade to Premium? There is a great way to save yourself up to $800 by using a really cool and simple trick. With a little luck you can fly Premium Class but only pay Economy Class prices. How does that work? I'll tell you. 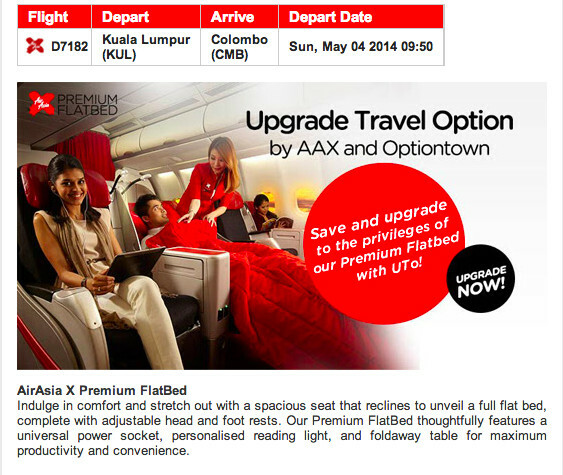 Book a simple Economy Class ticket for any AirAsia X flight. You will later receive a confirmation email with upgrade travel options. AirAsia currently works with a company called Optiontown, which sells the remaining Premium Class seats for a very low price in case nobody books them for the full fare. This is your chance to save yourself hundreds of dollars and avoid the full cost of sometimes $1000. DO I LOSE MY MONEY IF I DON'T GET THE UPGRADE? NO! You will receive a full refund if you don't get upgraded. That means you have nothing to lose. WHEN DO I GET A NOTIFICATION IF MY UPGRADE WAS GRANTED? Usually between 1-4 days prior to the flight. While you are waiting for your upgrade you shouldn't perform an online check-in because that could affect the decision about the possible upgrade. Once your upgrade is granted you will receive another confirmation email. This is pretty straightforward, and you get what you pay for. AirAsia is cheap, very cheap, so don't expect anything else but a flight from one airport to another. You will pay for any other extras you may need and this includes extra baggage, food, entertainment or simply more leg room. You will create your own flight according to your budget or whatever you are willing to spend. AirAsia X gives you a couple of options for your journey. But in comparison to other low cost carriers such Jetstar, the Malaysian competitor is a lot cheaper. If you pre-book a simple meal with a drink you will pay AUD$4 or to check-in your luggague you will be looking at AUD$27. 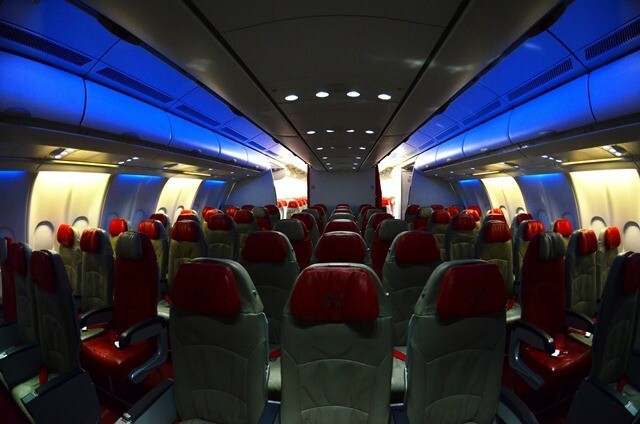 What to expect from AirAsia X in the future? AirAsia X is always looking to expand its network. They are possibly thinking of re-launching flights to Europe and to start regular flights to Africa. New routes and increased schedules to Australia are also planned. AirAsia also offers connecting flights to any other destination in Asia. In the next couple of months AirAsia will start to operate within India under the sub-brand AirAsia India. This will open new possibilities and could lead to new networks within the Middle East or Central Asia in the near future. The carrier has ordered 25 new Airbus A330 to join their existing fleet in 2015. This will result in many new routes from Kuala Lumpur to the far east and hopefully new destinations in Europe, Australia or even to America. In 2016 the brand new generation Airbus A350 will join the fleet with 15 new aircraft. 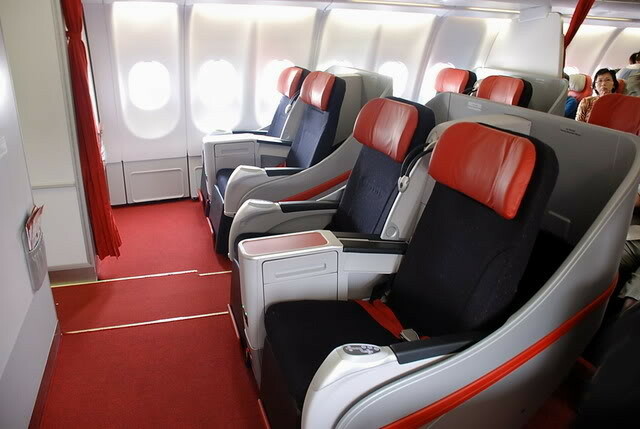 There is one important thing you need to consider when flying AirAsia X, and that is that you get what you pay for. If you don't purchase any food you won't get any, as simple as this sounds. The concept isn't new but the Malaysian airline delivers it perfectly and is by far the cheapest airline to fly to and from Asia to major Australian cities. Its flights to Japan or South Korea are also way cheaper than the usual market prices. It is a very safe airline, very punctual and even the extras are considerably cheap. I have never experienced any issues flying with AirAsia X and I'm always very happy to recommend others to fly with them. The Australian low-cost carrier Jetstar is a good comparison but to date I do try to avoid Qantas' little sister. Old seats, expensive food and extras and demotivated flight attendants are big turn-offs for me. 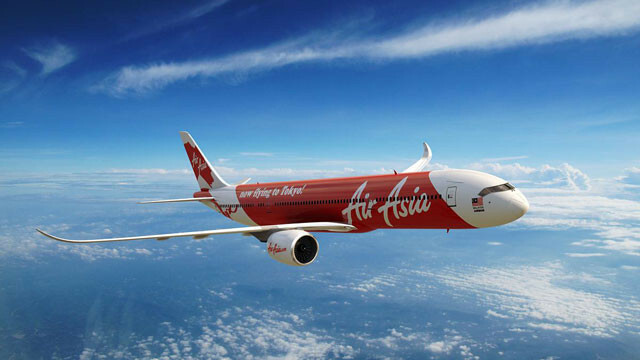 If you are looking for a cheap and safe flight within Asia-Pacific, AirAsia is the best choice. In the past five years AirAsia has been voted as the best low-budget airline in the world by Skytrax and the title is well deserved. Go ahead and book your flight!